numbers are likely to rise again. ffering free or discounted opportunities for first-time clients, according to Fox News. So go ahead, try out a few before committing to a pricing plan. fferent tiers of memberships, and an individual class is $21. new clients all receive a free one-day guest pass. Crunch has locations in Aurora, Mount Prospect and Schaumburg. ffers unique classes, such as Rock Star Yoga and Rope Burn, and everyone’s first class is free. You can find David Barton in River North, Chicago. VIP membership trial or a free group tness class. There are nine locations in Central and Southern Illinois. locations around the Chicagoland area. Nike+ Training Club: With three stores in Chicago, Nike offers several opportunities for fitness classes both indoors and outdoors, and all Nike trainer-taught classes are free. Sign up in advance online. about $30 to participate again. There are six locations around the Windy City. paddleboarding and mountain biking, both of which are free. Other classes may have a charge. participants get a 55 percent discount, with a $15 fee for the first class. 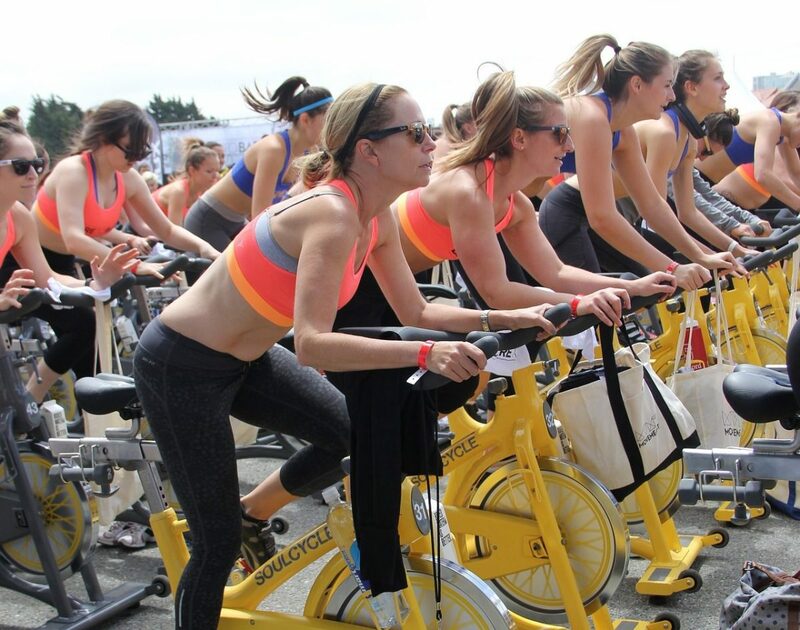 SoulCycle: The hip cycling class gives first time bikers a $14 discount, and is $34 a class every time afterwards. Aspiring SoulCyclers can spin to Old Town, Southport or The Loop to participate.